This is an old file, which i found yesterday in my old external hard drive. I think i used DBK31 color camera for this one. This file has more than 18,000 images and has a size of 45 GB! Back then, i processed it with Registax only which i had put on my older website. I am not sure if i was able to put it back on this new one. Last night i re-processed it with AVIstack (i love this program!) and registax and photoshop.. here is the result. 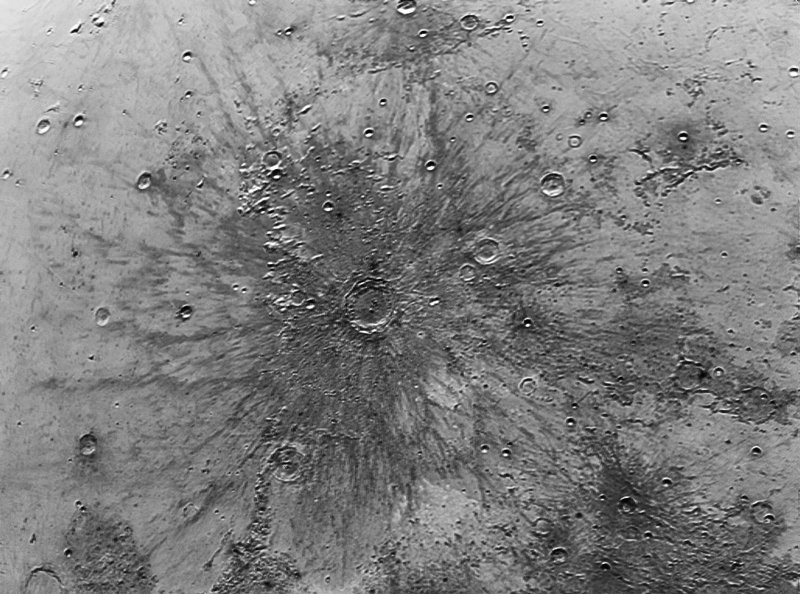 Copernicus crater (the central white rings) happened when a huge piece of rock slammed the surface of the moon and made a big crater at the spot. It is more than 90 km in size and just look how far the splash effect went out around it.. beautiful.